Cosmopolitan Grand Cayman Island is the largest of the three Cayman Islands. Whether you are looking for complete relaxation, exquisite dining, exciting nightlife or the awesome underwater sights of our oh-so-accessible reefs, we have something for everyone. The water, the beach, discover the nature that makes us beautiful. When you’re looking to get off the beach, get lost in the luxury of George Town, where colorful traditional Caribbean-style buildings meet high finance corporations and finish the day off with a sunset cocktail. Enjoy duty-free shopping on signature brands such as Versace, Tiffany, Gucci, and more. Still want more? We have it. There are many local vendors and craftsmen throughout the districts who work from their homes and are always happy to spend some time helping you find that perfect gift. An amazing combination of luxury and local treasures await you on your Cayman Islands shopping trip. The Eastern districts of Grand Cayman features natural beauty and grace beyond our azure waters and white sand beaches. Tour through the Queen Elizabeth II Botanical Park and learn about our rare Blue Iguanas, visit the Wreck of the Ten Sail and eat freshly caught fish in our local restaurants. 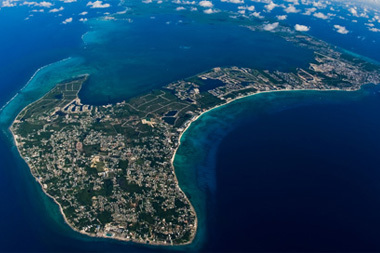 With over 50,000 residents, Grand Cayman is approximately 76 square miles. It is on Grand Cayman that you will find some of the most popular Caribbean activities, attractions, and festivals, including the popular Pirates Week and the colorful and exciting Batabano. Other popular attractions include the Cayman Islands National Museum, Rum Point, Pedro St. James, Bodden Town, the first capital of the Cayman Islands, Cayman Turtle Farm, and the National’s Trusts Mastic Trail, a 2 mile traditional footpath through unspoiled woodlands.